These are our “Terms and Conditions.” Unlike a traditional T&C document, we want to be human about things. The following 10 Agreements point to the fact that in business (and life), all we can do is manage our agreements. These agreements, including payment of your Program Fees, do not depend on how often you use our services. 1. Our Commitment to You. Your Bright Spenders Mentor will act in the role of coach, leading you through the program and monitoring your progress. They will be totally committed to helping you create a dynamic Spending Plan that works for you and will help you adhere to that plan, and make any alterations that may be required to ‘fine tune’ it to suit your needs as closely as possible. We agree to make available the following: In Phase 1, 2 – 4 x 60 minute one-on-one mentoring sessions via video teleconference with your qualified Spending Mentor to help you set up your customised Spending Plan, Weekly email support for the length of our agreement, In phase two, Monthly 30-minute one-on-one mentoring sessions (also via video conference) for accountability and support during the term of our agreement, and access to our private FB community throughout the program and beyond. Our intention is to maintain the highest standards at all times that enable us to deliver what our clients and the media refer to as one of the world’s top budgeting and wealth support programs. .
2. Your Commitment to US. Your Bright Spenders mentor will also be expecting your total commitment to the process so that together we can complete what we start. If you have questions along the way you MUST ask! The biggest block to making changes in your life is having an unanswered question or something you do not understand that is stopping you from moving forward. Send an e-mail and let us know if you need help. We will endeavour to answer within 1-2 Business days at the latest. Your coach may also refer you to other sources of information such as books or websites in order to help you and to answer your questions. The program runs for as long as you feel is necessary, but has a minimum commitment of 6 months. In the first stage of the program there will be some administration and set-up for you to do. You will receive personal responses to your progress. There are a number of scheduled phone calls or meetings to clarify where you are up to and what comes next. In the second stage, you will receive a weekly e-mail from us requesting that you report your Spending Plan’s account balances. You can choose a particular day of the week that suits you to respond to these e-mails but you MUST reply each week. Your time commitment will vary each week. Once the first stage is over you will find the time commitment reduces significantly and becomes quite regular. Some tasks in the first phase will require concentrated effort. Some of the tasks are very simple and will take just a few minutes. Others may require up to an hour of work. None of the tasks are too onerous. Some you may have been avoiding for longer than you care to admit. We will help you get them done! Special Note – ** If you are in a “total mess” financially, please understand that you arrived at this point after a number of years of practising the wrong habits. You will need to be prepared to put in an appropriate effort to get yourself out of that mess. 3. It’s expensive to change the goal posts. We operate from the perspective that once an agreement has been made, if someone wants to change the agreement for some reason, then it is they who accept any additional costs or inconvenience incurred as a result. For example, If we want to significantly change the delivery nature of our program (say to a purely face-to-face model requiring you to travel to us), it’s on us to incur any cost and inconvenience involved considering your understanding was that this is an Australia-wide, largely digitally delivered program which you can receive in the comfort of your own home or workplace. This is of course a two-way street. 4. Our programs don’t work! What the…? Unfortunately, despite our best efforts, the Bright Spenders program doesn’t ‘work’. Much like a screwdriver, it only works if you work it. 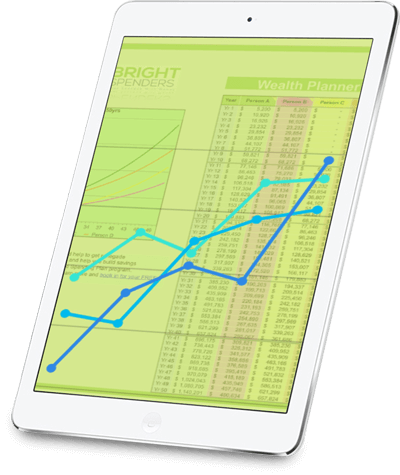 The track records of our clients’ speak to the effectiveness of our Bright Spenders program that supports them. Our most successful participants share common characteristics of being coachable, resourceful and resilient. If you’re not those things, and not willing to be held accountable to continuing to exemplify those things, then your results won’t be comparable to the live, video and written success stories we showcase. If you’re committed to putting in the hard work then you’ve come to the right place. Our Alumni got the results because they did the work. They were coachable. They got resourceful. They trusted the process and they got the results. Now you have the opportunity to do the same. Any information provided by you will be treated with the utmost of respect for privacy and confidentiality. Your personal information will not be revealed to any person outside our business unless for the express purpose of providing the service to a client and not without the client’s knowledge and approval. Personal information will not be sold, rented, given away or shared with anyone not involved in delivering any information, education, goods or services as part of the everyday running of our business. Client information stored in the Spending Planner software is encrypted and secured by SSL certification. No important private personal information such as Credit Card details are stored in your Spending Plan. Some of our mentoring sessions may be filmed and recorded for the purposes of documenting learning for your review. We may occasionally use these recordings for training and marketing purposes but only with your permission, and we will ensure there are no identifying features. 6. Be a good human. There is no excuse for rude, insulting or general bad behaviour and anyone being anything other than a cool human will be asked to leave the program. This goes for clients (you) as well as our Bright Spenders Mentors and Team. As a member of the Spending Planners Institute it is our aim to please, but we realise that no matter how hard we try and no matter how good we believe our product to be, there is always the possibility that someone won’t be happy with their experience. We don’t provide refunds if you’re not ‘getting it’ (see Agreement 3) or because you didn’t show up. You have full access to all of our educational materials, coaches and the Spending Planner software. A refund will be considered within the first 30 days only if we aren’t delivering the program as reasonably agreed, or our program does not perform in the way we’ve described it. We get it. Sometimes stuff happens and life gets in the way, but, to be clear, refunds are not available due to ‘stuff happening’. If a particular life circumstance such as illness, tragedy, travel, pregnancy, etc prevents you from completing the program as intended, we want to be as flexible as we can, without our Team burdening unfair costs (as per the first Agreement). Please see agreement 9 for our approach to dealing with difficult life circumstances should they come up. Software – The software we use is provided via a small monthly access fee. Access to the software and the monthly payment can be cancelled at any time but a refund is not possible. Consultation & Spending Plan set-up – There is no refund on the initial consultation or spending plan set up fee, unless as described above. Monitoring Program – There is no refund on the monthly monitoring program offered but the monthly payments can be cancelled and the service discontinued at any time after our initial agreement has ended with 30 days notice in writing. The Bright Spenders program is made up of a series of one-on-one mentoring sessions, email support plus digital content, and in order for you to get the best results you need to do the work. Part of doing the work is simply showing up, therefore it is expected that you will be in attendance for all mentoring sessions. Should you have a calendar clash, you have the option of rescheduling once in a calendar month with your mentor. Should you miss a 2nd scheduled appointment you will forfeit your mentoring session for that month. Your mentor may choose to make an instructional video for you in place of the mentoring session, and will of course continue to provide email support. We acknowledge that sometimes life doesn’t go to plan and things can happen. If you do miss a 2nd scheduled mentoring session you are able to request another session for a fee of $150 within 12 months from the date of the missed mentoring session. The fee will be deducted from the card you provided when you enrolled in the program. You can do this by emailing your mentor and rescheduling a time. If stuff happens, you may pause your program and recommence the program from where you left off as long as you start again within 12 months of the pausing date. As we have limited capacity, a Transfer Fee of $100 applies and must be paid before the Transfer can be implemented. Should you choose not to recommence the Bright Spenders program within the 12 months, you will still be liable for the balance of your agreed plan, enforceable from the date the “pause” was activated. If we’re delivering what we promised and you aren’t making your payments, that’s no fun for us at all, so it’s your responsibility to ensure there are cleared funds available when your payments are due. If your payment fails, we’ll send you an email. If it fails a second time you’ll get a call from our team to arrange prompt payment. If payments continue to bounce we will need to charge an additional 20% administration fee for manual processing of your payment. In the unusual circumstance that your account is more than 30 days in arrears, expect your card to be processed automatically, with an additional 20% late fee. If your account remains unpaid or you regularly default, your access to the program will be restricted until you’re up to date. Fees unpaid for more than 60 days will be handed to an external collections agency, which will incur additional costs for you. All this stuff protects us, and you, from the minority, but we figure it’s better to be clear up front to avoid any of this stuff becoming an issue. ii. a qualified accountant or finance professional. a. All the information referred to or provided to me (including any financial calculations and projections) by Anthea Falkiner, Trading as Bright Spenders or any other Bright Spenders Mentor is general information only which: i. will require further investigation by me; and ii. is not intended to be, nor is it acceptable as financial advice for me. b. I understand and agree that while given in good faith all the information give to me by Anthea Falkiner, Trading as Bright Spenders is general in nature and I commit to undertake careful and competent due diligence from independent sources before taking any action as a consequence of any information given. c. Copyright and Intellectual property rights in and to the information supplied to me belongs to Spending Planners Institute Pty Ltd and/or Anthea Falkiner, Trading as Bright Spenders absolutely. d. I shall not duplicate by any means whatsoever any of the information provided to me unless specifically given permission to do so. e. I acknowledge that the outcome I achieve from following the steps and guidance provided by Anthea Falkiner, Trading as Bright Spenders, or any other Bright Spenders Mentor, is largely determined by my participation in the process and many other variables relating to my current financial position and how diligently I apply myself to the process so tere can be no guaranteed outcome other than my financial wellbeing will improve. a. I release forever Anthea Falkiner, Trading as Bright Spenders, and any other Bright Spenders Mentor, from all and any responsibility or liability for any losses, claims or demands that may directly or indirectly occur as a result of me using the information given for any purpose. a. I hereby acknowledge that being a customer of Anthea Falkiner, Trading as Bright Spenders does not give me the right to represent or hold out to any person that I am a representative, agent, employee, partner, or in any way connected with them. By signing this agreement I agree to be bound by the terms and conditions set out above. I also take full responsibility for my outcome as a customer of Anthea Falkiner, Trading as Bright Spenders. Now that we’re done with the heavy stuff, from here on it’s all about you being ready for a complete transformation in the way you manage your money, and one which is going to affect you body, mind and soul. We can’t wait to get started!